Right after weaning is a good time to analyze the business and see what it cost to produce a pound of weaned calf. Photo credit Troy Walz. The relationship between the numerator (Costs) and the denominator (Units Produced) is what drives the UCOP value. For weaned calves, the UCOP is calculated as dollar per pound. Knowing the cost to produce a pound of calf is powerful information as it can help with marketing and management decisions. If it costs $2 per pound to produce a weaned calf, you must sell that calf for more than $2 per pound to make a profit. The power of the UCOP ratio for cow-calf producers is that everything involved in the production of a pound of calf is represented in the numerator or denominator of the equation. For example, if a producer wants to buy a pickup that will be used in the production of calves, he can estimate how the purchase of that new pickup will affect his UCOP in terms of cost per pound of calf produced. The same thing goes for the purchase of a new bull. Evaluating the purchase of a bull in light of how many estimated pounds of calf that bull will produce in relation to his cost can give insight into what a producer might be willing to spend. What did it cost to produce a pound of weaned calf this year? What is it projected to cost next year? The old adage "you can't effectively manage what you don't measure" is true in relation to managing the cow-calf enterprise. The first step in calculating UCOP is to have production and financial records. These records do not have to be complicated, but the records need to be accurate and thorough. If current management information systems don't provide the data to run this type of analysis, consider changes that will provide the records needed. Unit Cost of Production takes into account both product produced and costs. Knowing UCOP allows a manager to look forward utilizing both present and projected input costs with production numbers to make informed decisions. 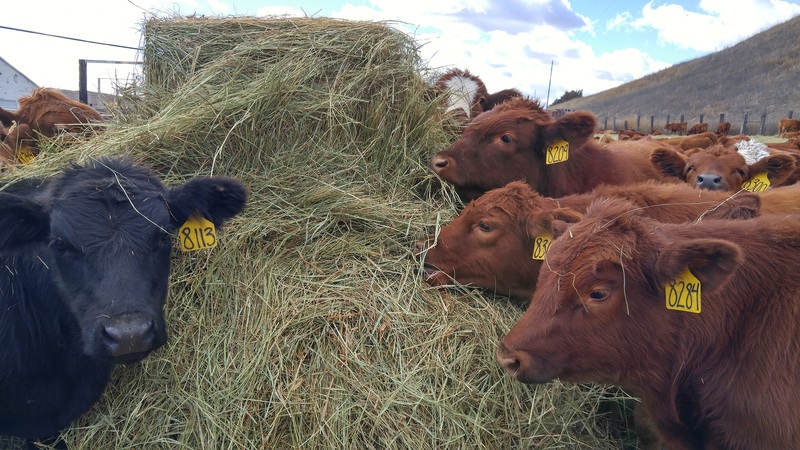 Cow-calf producers who know UCOP numbers for their operation's enterprises and understand the interaction between input costs and production can implement strategies to manage risk and effectively manage resources to meet their goals. Table 1 (Estimated Annual Cow Costs for Nebraska 2018) shows estimated costs to produce a weaned calf from a sample central Nebraska ranch. In this example, the cowherd is static with a 16% replacement rate. The number of bred heifers entering the herd is equal to the number of cows that are culled or lost due to death loss. All costs including labor, depreciation, and opportunity cost on cowherd value is included in this example. Would you like to sharpen your skills in knowing your production costs? If so, I would invite you to a two-day Unit Cost of Production Workshop that will be held on December 13 and 14, 2018 in Rushville, Nebraska. Participants in this workshop will work through a sample ranch to determine the profitability of four common ranch enterprises: cow-calf, stockers/breeding heifers, hay, and land. Participants will go through the steps of analyzing costs and calculating what it costs to produce a unit of product for each enterprise. Participants will also learn how to identify how changes could improve ranch profitability. Does this sound difficult? Hands-on, group activities, and examples of how to calculate key numbers will help participants through the process. Participants will also receive access to Excel® spreadsheet templates that can help them analyze cost of production for their own operation. Follow-up after the workshops will be available to producers who would like assistance in putting together numbers for their own operations. For more information on the UCOP workshop to be held December 13 and 14, please contact Aaron Berger at 308-235-3122.